The Dc-Dc section allows for a much wider input voltage. It allows the inverter to have more design flexibility and also work at lower voltages to stay on longer during the day. It also allows the DC-AC conversion to be designed more efficiently by providing a stable input voltage, or at least a range of input voltages. Because the amount of energy stored in capacitors is related to the voltage, it also allows the AC power conversion to be more predictable, even if the length of the "prediction" is limited to the next few line cycles. For example, the total energy stored in a capacitor is 1/2 C * V^2, where "C" is capacitance in Farads and V is the voltage in Volts. In addition to the wide MPPT range ( 5 to 60 Vdc), there are a number of other benefits. The DC to DC converter plus inverter solution offers module level MPPT, module level monitoring, enhanced design flexibility (modules of different sizes, different mounting orientation, etc). All these benefits are common to all distributed technologies. The advantages of DC to DC based solutions over micro-inverters are lower cost, slightly higher energy yield, and more scalable system designs. 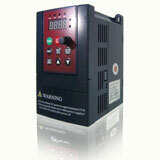 The inverter costs in DC to DC converter plus inverter solutions reduce as system size decreases, i.e. the inverters costs go down as inverter size increases. 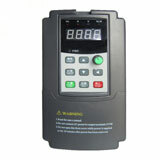 With micro-inverters the costs stay the same regardless of the number used. For very small systems, i.e. less than 3 kW, micro-inverters have a small cost advantage. Once you are at 6 kW the DC to DC solution is about 25% lower cost. At 50 kW the cost of the DC to DC based solution is about half the price of a micro based solution. Long term reliability of micro-inverters with electrolytic capacitors is a large question mark.